Researchers at Spain's Universitat Jaume I (UJI) have developed a new nanofluid with higher thermal conductivity over currently ones being used. The nanofluid could replace existing heat transfer fluids (HTF) currently used in Concentrated Solar Power plants to increase their performance. Last Thursday, Viessmann won the Innovation Award at the Otti Symposium "Solar Thermal Energy" for a new vacuum tube collector. 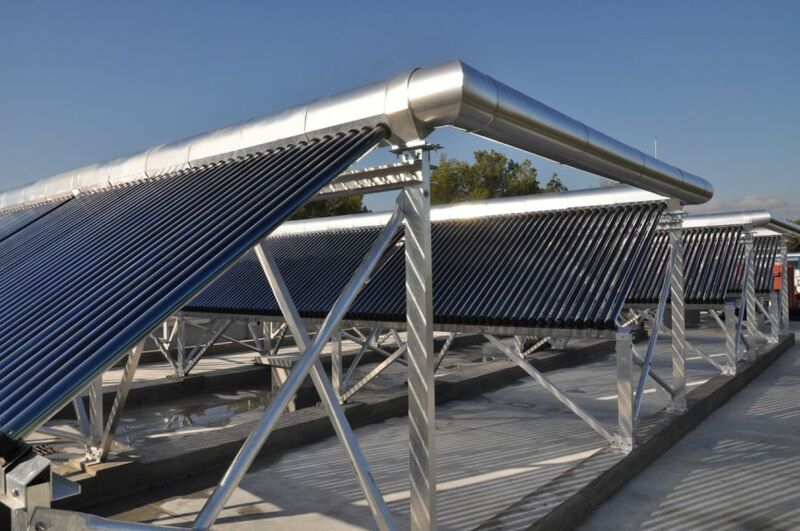 Currently, adding energy storage to Concentrated Solar Power (CSP) costs about $30 per kilowatt-hour of capacity, contributing between 15 and 20% of the project cost. Can this be reduced?